Adiponectin antibody recognizes adiponectin, also known as 30 kDa adipocyte complement-related protein, adipose specific collagen-like factor or gelatin-binding protein 28. Mouse anti Human adiponectin antibody recognizes adiponectin, also known as 30 kDa adipocyte complement-related protein, adipose specific collagen-like factor and gelatin-binding protein 28. ADIPOQ is expressed in adipose tissue exclusively. 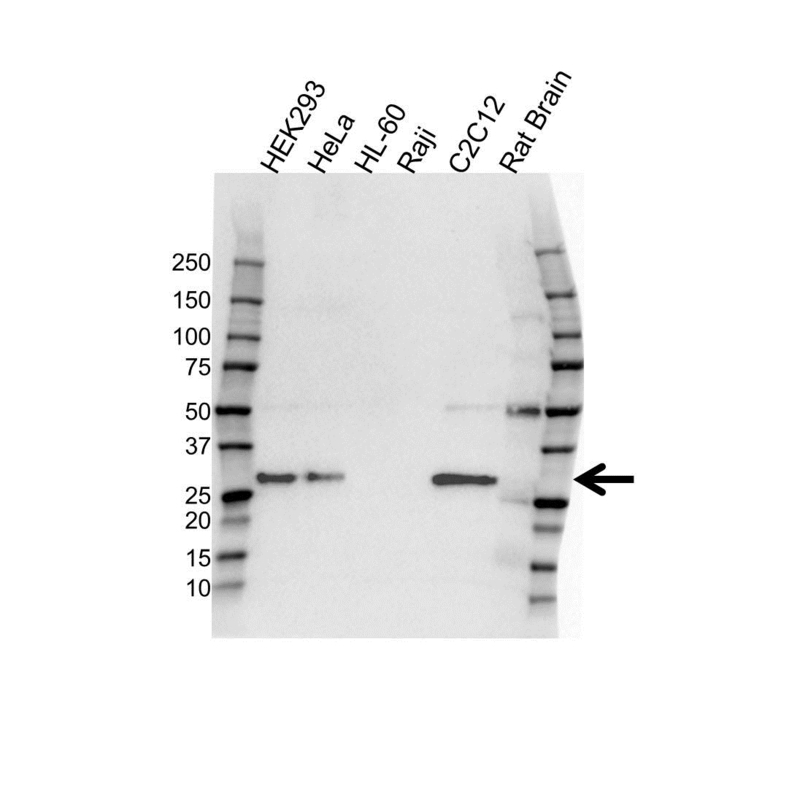 It encodes a protein with similarity to collagens X and VIII and complement factor C1q. The encoded protein circulates in the plasma and is involved with metabolic and hormonal processes. Mutations in ADIPOQ are associated with adiponectin deficiency. Multiple alternatively spliced variants, encoding the same protein, have been identified (provided by RefSeq, Apr 2010). Mouse anti Human adiponectin antibody detects a band of 27 kDa. The antibody has been extensively validated for western blotting using whole cell lysates.